Vladimer (Lado) Vardosanidze, an Architect-Urbanist, a professor at the Georgian Technical University, was born in 1945 in Vladikavkaz (North Ossetia, RSFR-USSR). Lado graduated from the Georgian Polytechnic Institute as an architect in 1969. He worked at the Designing Institute for years and continued his education at the Central Institute for Research and Design of Urban Planning as a postgraduate student in Moscow (Russian Soviet Federative Socialist Republic – USSR). Lado was granted a PhD degree in 1978. Lado worked as the head of a department and a deputy director at the Main Scientific Board for Protection of Monuments of Georgia. 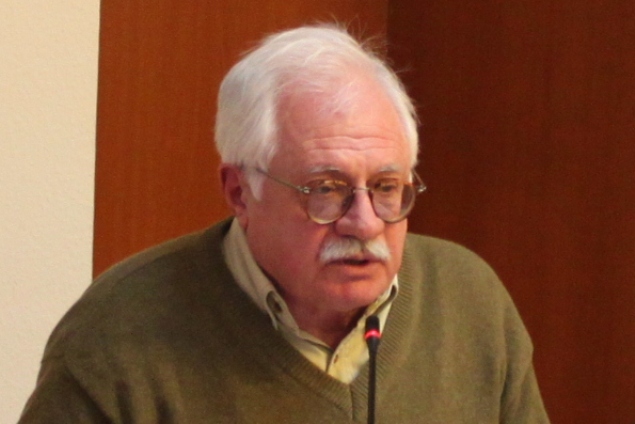 In various times he served as a director of “Habitat-Georgia”; a member of Advisory Board of the UN-Habitat Global Research Network on Human Settlements; a member of International Society of City and Regional Planners (ISOCARP); a chairman of the Association of Urbanists of Georgia; and a vice-chairman of Architects’ Union of Georgia. Lado’s Professional interests include: urbanization, urban culture, protection of urban heritage, social and cultural aspects of urban development.